Researchers from North Carolina State University have developed a new tool to help medical staff understand the status and causes of breathing difficulties in patients. They created an algorithm that they believe is capable of interpreting a patient’s wheezing to find out where and what the problem is. A separate team at the National Science Foundation Nanosystems Engineering Research Center has developed a sensor that can monitor the wearer’s breathing and is powered by body heat. The algorithm that the North Carolina team has devised is meant to work together with the sensor. The idea is that the sensors will monitor breathing and relay the information to a device, like a smartphone or computer, where the algorithm is run. If the algorithm detects a problem, it sends an alert to the patient as well as a designated medical professional. The algorithm processes how fast the breathing difficulty comes on and the pitch, magnitude, and volume of the wheezing. 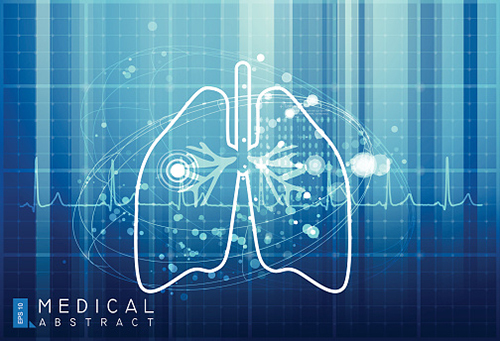 It uses this data to inform doctors and other medical staff about the condition of the patient’s lungs. A patient’s physical size and breathing patterns are also taken into account when running calculations. This development has a great deal of promise behind it. Wheezing sounds change depending on the severity of a problem and where specifically in the lungs it is centered. Any time not needed to run scans or tests is time that can be used to help relieve the underlying cause and restore normal breathing. While promising, the algorithm and sensor have additional steps that must be completed before they can be used on patients in a real setting. There is no smartphone integration for the algorithm yet, for instance, and the team is debating ways to make the system wireless. The paper, “Spectral Estimation in Highly Transient Data,” will be presented during the 2015 European Signal Processing Conference. The conference will be held in Nice, France from August 31 to September 4. “Algorithm interprets breathing difficulties to aid in medical care,” EurekAlert! web site, August 19, 2015; http://www.eurekalert.org/pub_releases/2015-08/ncsu-aib081915.php. Emrani, S., et al., “Spectral Estimation in Highly Transient Data,” NC State University web site; http://research.ece.ncsu.edu/vissta/wp-content/uploads/2013/08/pdf.pdf , last accessed August 19, 2015.